For more than 20 years, parents have been hearing that babies should be put to sleep on their back to reduce the risk of sudden infant death syndrome (SIDS). But providing a safe sleep space for your baby involves more than just placing her on her back when you put her down to sleep for a nap or for the night. Experts stress the need for infants to sleep close to their parents, ideally for 1 year but at least for the first 6 months. That strategy has been shown to cut the risk of SIDS by as much as 50 percent. Mothers who need to breastfeed during the night are encouraged to bring their baby into bed, since this poses less risk than falling asleep on a sofa or an armchair. But experts recommend that the baby be returned to the crib as soon as possible after feeding, since bedsharing can pose serious safety risks. 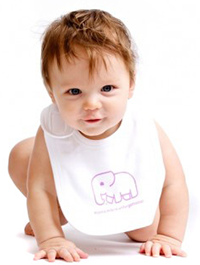 Position your baby’s crib out of reach of long curtains, “canopy-style” drapes, window blinds, and cords of any kind. Hang any mobile high enough above your baby’s crib so that he can’t possibly reach it. And don’t leave your baby sleeping in his car seat when you arrive at your destination. Always place your baby on her back to sleep, never on her tummy or side, to reduce the risk of SIDS. Despite what family members or other caregivers may tell you, babies who sleep on their back are at no higher risk of choking or similar problems. According to the National Institutes of Health (NIH), healthy babies naturally swallow or cough up fluids that they spit up or vomit –it's a reflex to clear their airways. Studies show no increase in choking deaths among babies who sleep on their back, and this position may actually clear such fluids better. 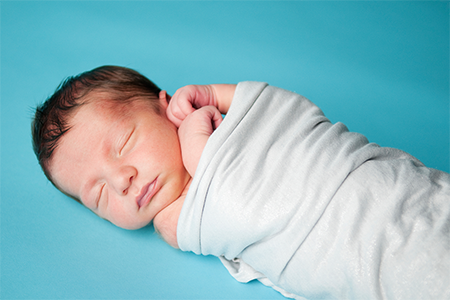 Consult your baby's pediatrician if you have concerns about her sleep position. Cribs. Most cribs are suitable for a newborn and can handle the weight and size of a baby throughout the toddler years. 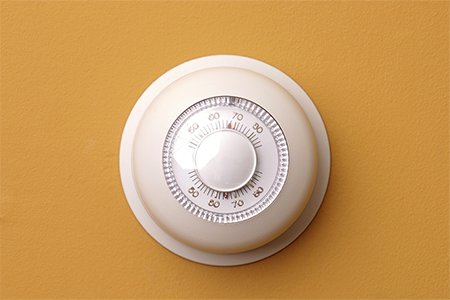 Check cribs against new and improved Consumer Product Safety Commission (CPSC) standards. Cradles, bassinets, and Moses baskets. These compact sleep surfaces are designed for use with babies during their first few weeks or months. But they are quickly outgrown and parents are cautioned to observe their weight limits. Co-sleeper. A co-sleeper is a bed designed to attach to the side of the parents’ bed. Parents should use only bedside co-sleepers that meet safety standards of the CPSC. In-bed co-sleepers. There are some devices designed for in-bed co-sleeping. The CPSC hasn’t issued safety standards for these products. But the CPSC and Food and Drug Administration issued a warning in 2010 against the use of certain infant sleep positioners because of the risk of suffocation and entrapment. Bare is best. Keep it simple: firm and tight-fitting mattress, fitted sheet, and fitted mattress protector (optional). In the cooler months, consider having your baby dressed in a wearable sleep sack for warmth instead of using a blanket. Babies who can’t roll over on their own can become entangled in cushy or padded fabrics, which can interfere with their ability to breathe. Babies who manage to pull a blanket over their face or bury their face in a stuffed animal may not be able to turn away, making breathing difficult. Avoid crib bumpers, in-bed wedges, and sleep positioners. If your baby spends time in a child care setting away from your home, make sure he has a safe place to sleep. Licensed child care facilities are required to have cribs that adhere to safety guidelines, but parents are advised to double-check. 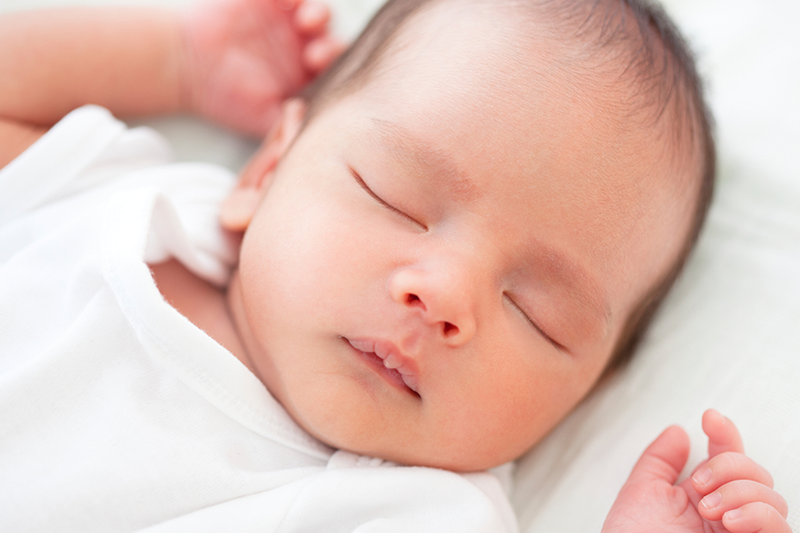 Examine your baby’s sleep space to ensure it meets safety recommendations. The National Association for the Education of Young Children has a helpful guide for evaluating safe sleep practices in a child care setting.